There was nearly a 'full house' at Friday night's Beetle Drive and Bingo Night, with over 90 people attending. The event was lots of fun, and seemed to be enjoyed by all - barring the minor mishap with some duplicate Bingo tickets!! Thanks must go to Spadge Hopkins for his excellent Bingo calling and also to Mr Grey for the kind loan of the hi-tech Bingo kit. The Friends are very grateful to those parents who stayed behind at the end to help clear up the tables and stack chairs to get the hall back in order for school on Monday. On Wednesdays after school there is a popular and thriving club called 'Holy Horrors'. The club currently has 40 children from across the age range and 5 adult members including several school governors. They always start with a drink and a piece of fruit. Holy Horrors then take part in a number of activities. They normally have a story, a song and craft activities. Holy Horrors is also a chance for the children and adults to chat about anything in a relaxed atmosphere. Mrs Akerman has started up a Reading club for Year 2 and 3 children. The club meets after school on Tuesdays. They started off this week by sharing a favourite book. Next week the children will choose one of the books to read together. Class RV have made these stunning cushion designs with Mrs Borg. They are based on Inuit Art found on the internet. You can everybody's work in the video below or come and look at the beautiful display in the corridor outside their classroom. Class NS / JB have been using Speed Stacking equipment during wet breaks / lunchtimes. Some of the children have become experts. 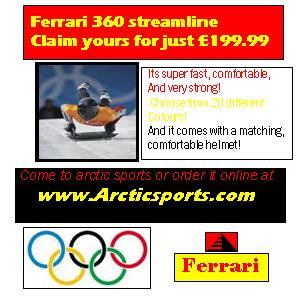 Watch the video below - it is NOT speeded up! PLEASE NOTE THIS IS FOR KEY STAGE 2 ONLY – apologies for not making it clear on the previous letter. To celebrate World Book Day KS2 children can come to school dressed as their favourite book character. Lessons and playtime will continue as normal, so costumes/footwear need to be practical. The children will have an opportunity to visit/buy books during school time with their class. There will be books available for children of all ages and abilities, and a leaflet is enclosed giving an indication of titles available. If you are unable to visit at opening times but would like to purchase a book, please complete the order form on the leaflet OR use the form overleaf. Payment must be sent in with the order and all cheques should be made payable to ‘Framlingham Sir Robert Hitcham’s CEVAP School’, with your child’s name and class on the reverse. All purchases made by you will help the school obtain more books for our library and classrooms. World Book Day Ltd has issued £1.00 book tokens to each child in the school. They can be redeemed at any bookshop participating in the promotion and are valid from Monday 1 March to Sunday 28 March 2010 and are enclosed with this letter. They can also be used as part purchase for a book worth £2 or more from the Travelling Book Company, or as part purchase for a book from the Scholastic leaflet which we hope to be issued to Key Stage 2 children shortly. Children have been reminded to keep their coats on in the morning when they first arrive, whilst they put bags on pegs and lunch boxes on shelves, before going straight back out to play. This course will run through Thomas Mills Sports Centre by Mrs Constanti (from Framlingham Netball Club / Thomas Mills High School) for 10 weeks during the summer term on Wednesday evenings (5.45pm – 6.45pm). The aim is to provide fun exercise for girls in year 5 & 6 whilst developing ball skills and co-ordination as well as teaching netball rules, skills and tactics. To register interest or for further information please contact aconstanti@thomasmills.suffolk.sch.uk or text/call 07867 807 144. Please note this will be run on a first come first served basis if there is sufficient interest. Pre-orders for tickets must be with the school office by this Wednesday. Our school singing club will be performing this piece at Snape Maltings on 21st March. Mrs Elphick gave a fascinating talk to the children about her visit to Liberia. The children also had an opportunity to ask questions. She had lots of photographs which we could see with the projector. These objects were brought back as souvenirs. Two of them are made from wood, the picture is stitched from cotton and the bracelet is made from shells. Drawings by Class DB, paintings and collage work by Class NS / JB. 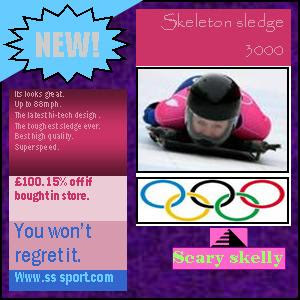 In year 6 some of the children have been designing adverts for winter sports equipment. 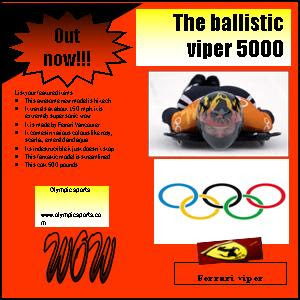 The adverts were made using MS Publisher. 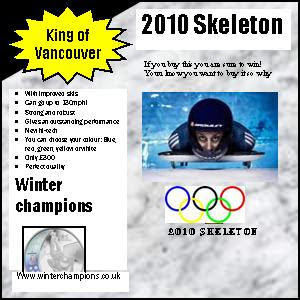 They looked at the Winter Olympics and specifically the 'skeleton' - as performed by Britain's Shelley Rudman. Watch out her her in the Vancover games next week. 20 children from years 5 and 6 have been learning how to play hockey (not uni-hoc) using our new hockey equipment bought with Tesco vouchers. Threee of the children also play at Harleston Magpies Hockey Club - click on logo to go to website. Please speak to Mr Brook if you are keen to learn to play this fast moving & skilful sport. Mr Byer's lunchtime chess club has been very popular this year. They are now into playing tournaments. The year 3 / 4 tournament had 32 players. Ollie and Corri are the finalists. The year 5 / 6 event has just started with 43 children taking part. These funny ideas were created by children in Years 3 and 4. Snow like flour sprinkled across the land. Pointy noses and coal black eyes.